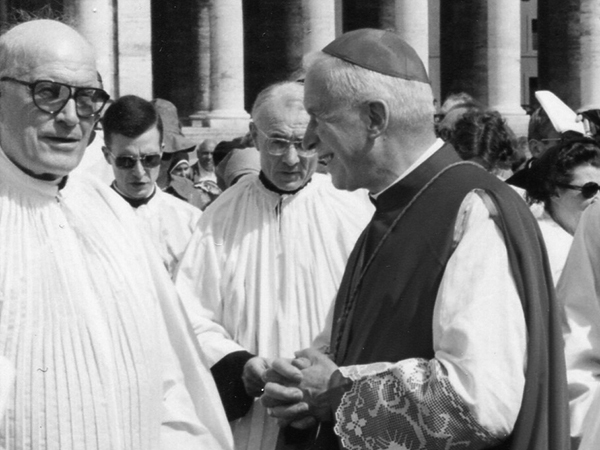 Marcel Lefebvre acknowledged that in the seminary, in the school of the popes, he underwent a genuine intellectual conversion. [It] was a revelation for me. During my studies [in college], I had never really grasped how much was at stake in this fight of the Church for the Church and Christianity. I remember... coming to seminary with incorrect ideas which I modified during my studies. For example, I thought that it was excellent that the State was separated from the Church. Oh yes! I was a Liberal! 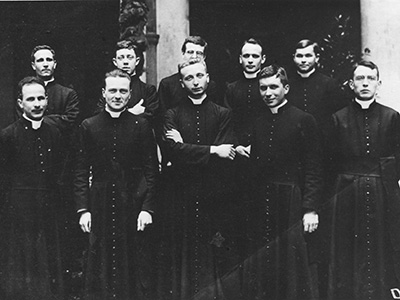 ..."
In Rome the Pontifical French Seminary, ruled by the Holy Ghost Fathers since 1853, is dedicated to train French speaking Catholic priests. "Following Our Lord, let us carry the standard of the Cross, the only sign and only source of Salvation."